TANA holds community silkscreen printing workshops for community youth and residents. The workshops are focused on encouraging the exploration and representation of culture as a means to empower and encourage self-determination. 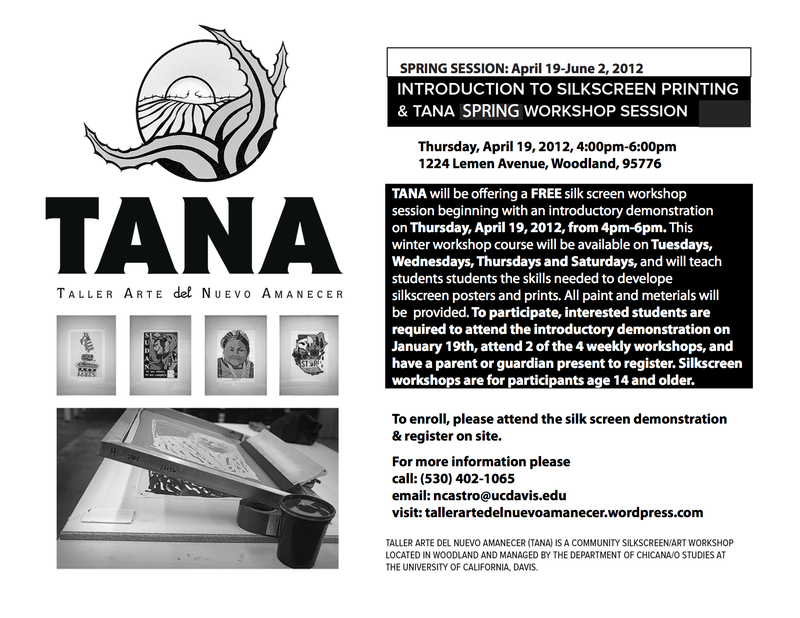 For anyone interested in participating in the Springl Session please attend the Introductory Silkscreen Demonstration that will be held at TANA on Thursday, April 19th. Please visit our website (tana.ucdavis.edu) for more information and please feel free to forward this information to interested youth and community members.